Earlier this year, Gates released its NEW range of thermostats. Gates is the first in the industry to supply thermostats in Celsius. While other suppliers’ thermostat part numbering reflects temperature in Fahrenheit, Gates thermostats reflect temperature in degrees Celsius. Use this Quick Reference Guide to learn how to read the new thermostat part numbers. Download the Quick Reference Guide here. Replacing a defective fan clutch or fan blades? 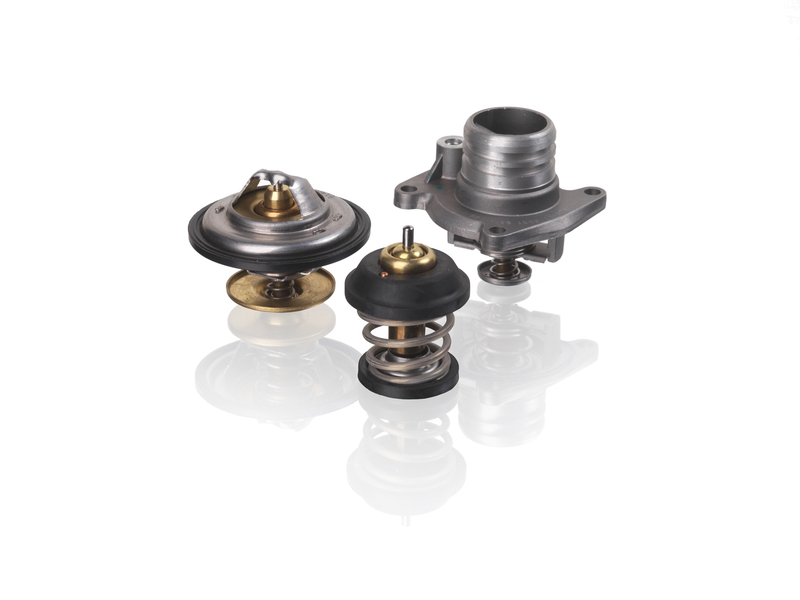 These parts create excessive vibrations and imbalance when they are failing, stressing the fan pulley bracket. Failing to inspect and replace the fan pulley bracket could result in costly repairs. Gates’ OE Exact Fan Pulley Brackets provide the perfect solution. OE quality replacements ensure an exact fit for a hassle-free installation and provide the proper structure and support needed for the fan clutch and fan blade. Download the Fan Pulley bracket flyer here. The NEW range of Gates Thermostats offers: • The latest evolution in thermostats – integrated housings and MAP controlled • OE design for exact fit and performance • The required matching seals and gaskets, all packaged together with the thermostat in one box • Greater application coverage Download the part number and application information here. Click here for the thermostat product brochure. Gates has introduced new electric water pumps that fit popular applications. The program includes electric water pumps for engine cooling, battery cooling on hybrid vehicles, turbocharger system cooling and heating applications. 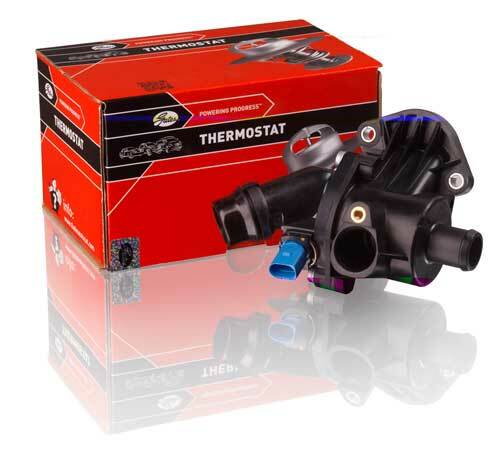 These OE-exact replacement electric water pumps ensure an exact fit and easy installation while effectively restoring the cooling and heating systems to proper operation and performance.